My review of Tearaway, a beautiful game for the Vita. Come in and check out just what it was about this game I found so charming. 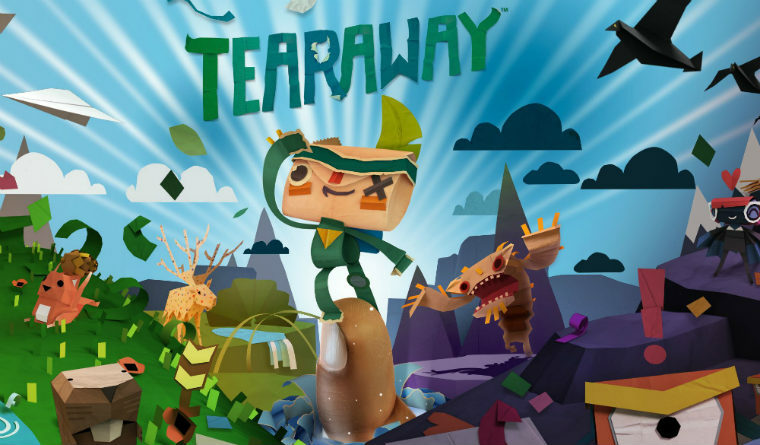 Tearaway is a platformer for the PlayStation Vita developed by Media Molecule, who are also known for making LittleBigPlanet. It was released for the system in 2013. There is currently an expansion of the game being developed for the PlayStation 4 which is due for release next year, and will feature an extended storyline. 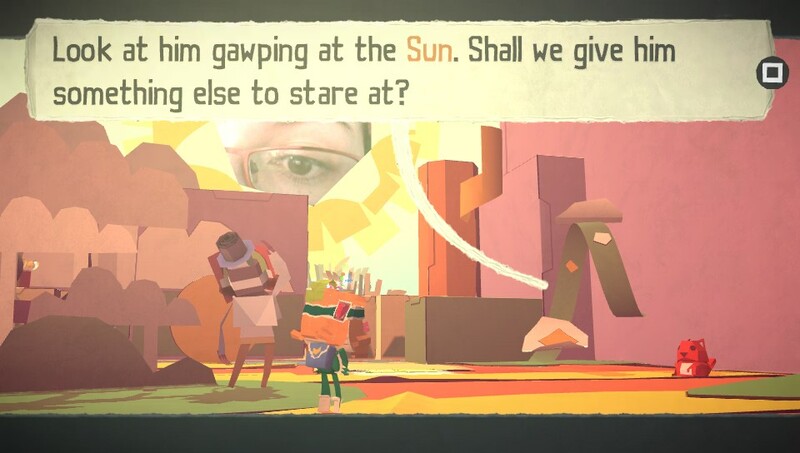 Tearaway begins by having a hole blasted in the sun, with the void being filled with your face. The Vita uses its camera to ensure your face, which the in-game characters refer to as “the You”, is sitting inside the sun at all times. In fact, it’s your own fingers that put the hole in the sun in the first place! 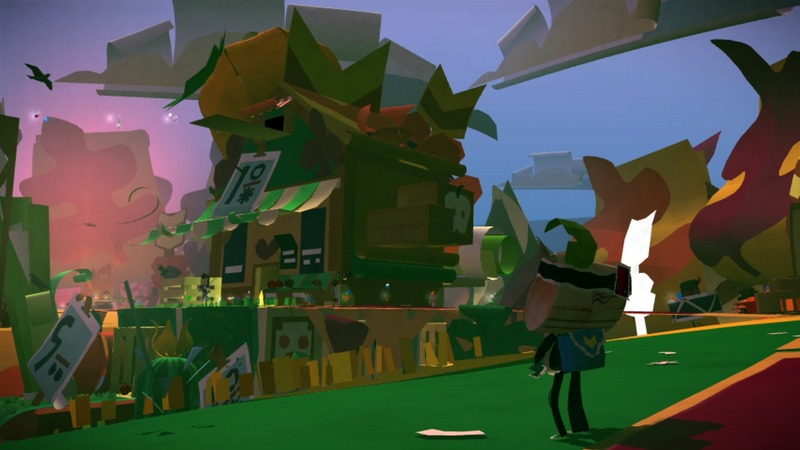 Tearaway maintains this level in interactivity throughout the entire game, and it was a huge part of what made the game feel unique. The main character is named ‘atoi’ as a female, and ‘iota’ as a male. This character is a messenger, and the aim of Tearaway is to help them deliver their message to your face in the sun. Along the way you’ll have to defend the messenger from Scraps, which are generally wreaking havoc on the residents of this world and trying to prevent the messenger from fulfilling their goal. The narrative is told by two people who are in search of a good, new story. They set the pace and decide what happens next, and frequently interact with the messenger and the You throughout the game. I loved them for their humour, their character and their rich British accents, and they did an excellent job setting the overall fun mood of Tearaway. 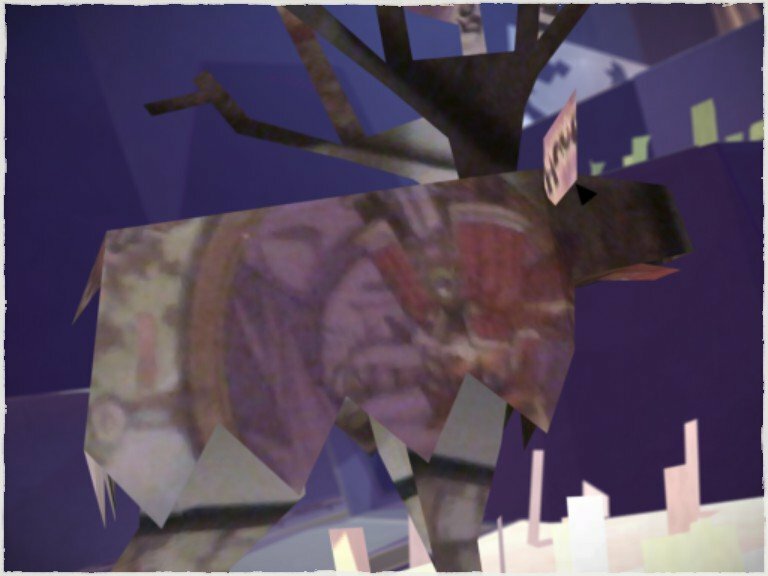 In the world of Tearaway, everything is made of paper. The messenger, the Scraps, the inhabitants of the world, the world itself – everything. So when I say the world unfolds before you, I mean it in a literal sense. As you run around and explore the world, it moves with the messenger. Things fold, unfold, refold, they change their shape. They do all kinds of cool things that make the whole world feel active and alive. This papercraft bleeds into the game’s visual style, which really suit it and give it a look I’ve not seen anywhere else. One of the things I loved about Tearaway was its utilisation of the Vita’s hardware. There was a lot of tapping of the touch features on the front and back of the console to progress. For example, some jumps were too high for the messenger to make on their own, so the player was required to tap the back of the Vita to make them jump higher. There is special paper that can have your fingers poke through it by sliding your finger across the back of the console, which acts a fast way to take out scraps and is also used to move around blocks for puzzles. Tearaway’s interactivity and personalisation was my favourite part of the whole experience. I’ve already discussed the utilisation of the tapping of the touch pads on the Vita, but the game has other features which allow you to give it your own flavour. One of the most obvious ones is that your face is ever present within the game’s sun, as mentioned above. Some characters you run into will be missing something, be it a nose or a moustache or something similar. You then get to fill in their missing features. Some of them ask you to grab a piece of coloured paper and draw the missing feature. I gave one character a yellow curly moustache, and filled a wintery area with bright pink squiggly snow. Some of them ask you to take a photo with the Vita’s camera. There was a moose who was bored with its current coat, so I took a photo of the colourful cover of my copy of Solatorobo: Red the Hunter. Not only did the moose in question then wear this, but all the other moose in the vicinity started to wear it as well. These sorts of things really set Tearaway apart; it gives you control over the game’s world in a way I’ve not seen in any other. Tearaway was accompanied by a gorgeous soundtrack, composed by in-house musician Kenneth Young, who also worked on LittleBigPlanet. He worked with La Hacienda CEO Brian D’Oliveira, whose company have also worked on Papa & Yo and PAX Australia Aussie Indie Showcase winner MacGuffin’s Curse. 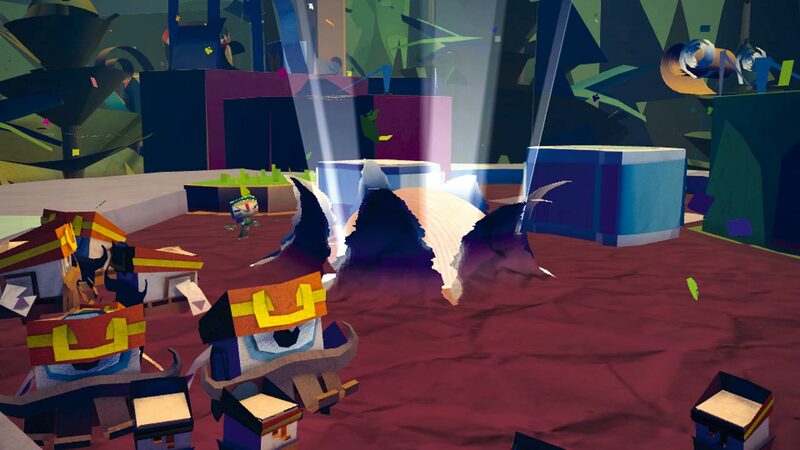 Tearaway has a brilliant array of music at its disposal, each track suiting its setting beautifully and genuinely adding to the whole experience. Tearaway was the very first Vita title I played, and it was at the recommendation of nearly everyone I knew who has the console. I can certainly see why. It makes fantastic use of the Vita’s features for a whole new level of interactivity. This and its beautifully constructed world made the game a true joy to play, and it’s an experience I’m not going to forget.